Time to scratch that itch. This love affair gets stronger by the season and I’m in too deep to shake the feeling, even if I wanted to. Even got Saturday 3pm kick-offs. There’s no debate about the key man at White Hart Lane this season. Mauricio Pochettino has become more than a fine manager. He’s a leader whose passion can inspire players and fans alike. We supporters hurt as the season disintegrated in May, yet no one felt the pain more than he did. He’s been extensively quoted on how his fury infiltrated his holiday and caused nightmares, not that you can imagine a man who spends 12 hours a day on Spurs business ever relaxing. No easy pre-season for the squad as they drifted in from the beaches. First team talk: “I wanted to kill all of them”. At Everton on Saturday, the players may well have heard the same message at half-time. Spurs were flaccid, a limp imitation of the side that had swept away so many opponents last season with flowing football and intense pressing. Instead, old failings. A jagged, discordant pattern – slack tempo, conceding needless free kicks, Lamela lost, Kane isolated, players turning into trouble and inevitably losing possession. Seen it so many times before. Familiar and unwelcome. Habitually I like my summer break and ease myself into the new season. This time, I couldn’t wait for it to begin. Not because I think we’re going to storm the league but for the pleasure of watching this fluent, fabulous, dedicated team play the game. Let’s take them all on, be proper contenders, make opponents skip a few fixtures ahead and say ‘we’re playing Spurs in a few weeks’. Let’s make them afraid of us. Help me Tottenham, help me. The mug’s free-kick, swung in, misses everyone, keeper by-passed as it plops inside the far post. Five minutes gone. Help me out this situation. Don’t give unnecessary free-kicks away. Put us under a lot of late pressure in games last season when we were on top but conceded the initiative. Wanyama has a reputation for this, he must learn to curb his instincts. A good buy though, value for money. He’s a defensive DM as opposed to players like Dembele and Bentaleb who are deep-lying midfielders and play from the back without being so certain the box. Second half, Wanyama twice made crucial tackles to cover Everton breaks. More gloom. Lloris injured, a month out he says. Vorm the unlikely hero of the new season? Some guaranteed games might relax him and he could take responsibility in Hugo’s absence. There’s a proven PL keeper there somewhere….yeah, I’ll be holding my breath too. Made a fine save with his feet to stop a certain second, so that’s a confidence builder. Him and mine. One advantage we have in this most competitive of PL seasons is a settled, established team to pick up points early on while our bigger spending rivals get themselves together. Last time out, the focus on the end of season falling away masks the draws we couldn’t turn into wins that cost us dear between August and October. 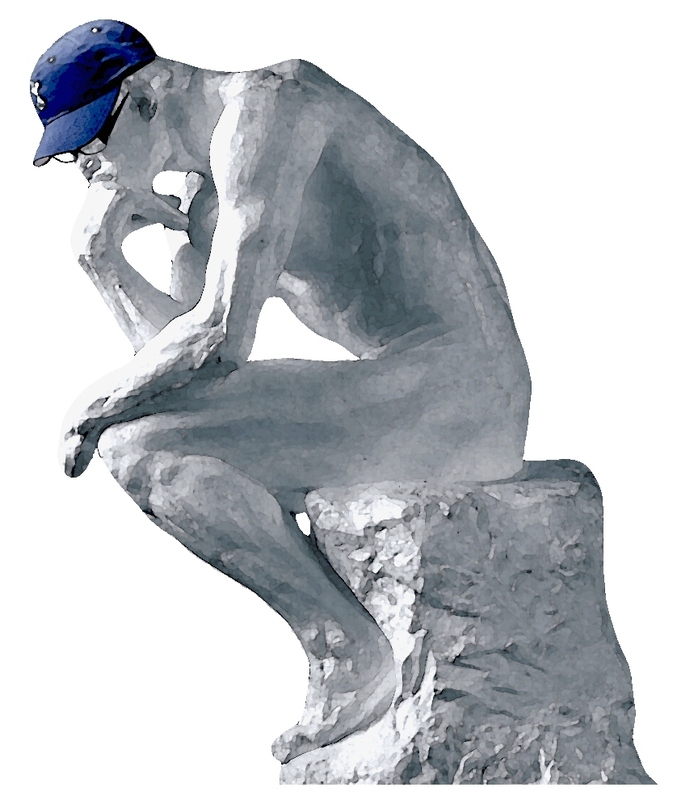 On the evidence of the first half, that is a forlorn hope. After the break Spurs picked it up, taking the game to our opponents. Things changed significantly however when Janssen replaced Dier and went up front. Lamela spent more time on the left. As a result, we were able to pose a threat in the box. Janssen had a couple of sharp efforts saved but his value could be seen in the way he rifted right and opened up space. Pochettino making changes here ten minutes into the second half rather than ten minutes from the end. Already Wanyama and Janssen give us more options for a Plan B, the lack of which has been a problem since MP came to the club. Lamela took advantage, cutting in to hurl himself in front of a defender and on the end of Walker’s perfect right-wing cross. A classic diving header to equalise. Many have tipped Lamela to shine this season. I commend the effort he’s put into his game but to me he spends too much time looking lost rather than trying to impose himself on the game. However, if he can continue last season’s run of decisive contributions, whether goals or assists, he’ll prove his worth. The taker of sharp chances, the maker of sharp chances under pressure, that is what Spurs need. You can’t, and shouldn’t, read too much into the first few matches on the season. Pochetinno’s intensity isn’t an act. It’s how he is, and he will convey this to his players. The disappointment of last season will make them stronger. A season older and wiser, the presence of mind to handle the pressure is the extra ingredient to keep us as genuine contenders in what could be the tightest title race for years. There’s pressure wherever you look. Spurs played some breathtaking football last term, some of the best I’ve seen in half a century. Now to turn it on in the white hot heat of the crucible of expectation. We are targets and teams will go that extra mile to shoot us down. In April and May, teams sussed us out. Always happens in the PL, Leicester aside of course. Fall back, limit space, maybe concede the wings but reinforce central areas. It chimes with the message from Euro 2016 where teamwork trumped individuality and flair. Pressure to overcome that. Pressure on our players to perform. We’re a top side, expected to win. Players like Alli and Kane are expected to deliver. The scrutiny will be cranked up, the media waiting to pounce if standards slip. It’s impossible to assume the five players returning from England’s ignominious Euro debacle can be unaffected, physically certainly from a knackering year, mentally too because they embraced failure. Young men like Alli have something new to learn. Pressure to expand the squad. I had hoped for more signings by now, pace up front, some guile behind. And talking of Spurs fans (smooth eh?) 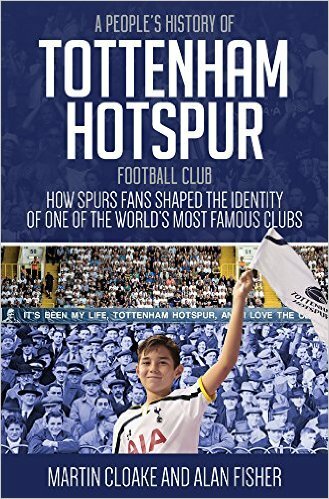 A People’s History of Tottenham Hotspur Football Club, the story of Spurs supporters and support, is already the best-selling Spurs book on Amazon and it only came out yesterday. More on the book in the coming weeks. ← This Photo – The Shape of Things To Come? His comment about not being bothered about finishing above ‘them’ when there were still points to play for annoyed me a bit at the time… I don’t believe in giving up. Ever. Anyway, new season. New start. I typically pay no attention to managers’ comments but in this case I think it shows he cares, deep down. He believes in the team as do we. Hears to the last season at the Lane. The season really feels under way when I’ve read the post-match blog here. By far the best Spurs blog out there. Thought Saturday’s performance wasn’t great but wasn’t terrible either. We looked sluggish to start with but by the second half of the second half we were flickering into life. It wouldn’t have been outrageous if we’d edged it with Vincent Janssen’s late chance. He looks good, as does Victor Wanyama. Both will prove to be real assets once they settle into the team, I’m sure. Last season was definitely the most enjoyable of recent years and one of the best since I started going in ’76. Levy and Poch have done some really good work at the club to the extent that I feel more confident about the club’s future than I have ever done. And respect to the board and the Trust for the ticketing arrangements and pricing at Wembley & fans affected by the rebuild. Have no idea where we’ll end up come next May but if the journey is as exciting as it was last year then it doesn’t matter. Great post, major lyrical waxing there. RE: Lamela. I think his overall demeanor / body language when he’s off the ball tends to look like he’s lost. I don’t think he actually is. I think he’s a player that is always looking for opportunity and may be drifting about like a hound searching for that next meal (if that makes any sense). Anyways, most importantly this season I hope the fans continue to get behind the team… even through hard times. The level of support, changed thanks to Poch & results, has made me happiest when I’m at the games; even when not. Poch plan I think is everything to him. AVB had a plan too but with AVB he just didnt have the personality to sell it. And when it didnt look like it was going to happen he just crumbled. Poch is different. Poch has charisma. he is also emotional and he is totally focused on his total plan. I am not happy that we dont have a creative force. I have felt that Eriksen doesnt do enough in terms of creating and he is in a prime position to make it happen. He somehow doesnt move the ball quick enough and isnt dynamic enough.Look it may come.It may,But manwhile I think we lack that. It can either come from Dembeles position or Eriksens.There are no other options (one radical option is to use Kane in that role,in Eriksen’s position (its not completely out of whack and I think he can create and do a job) Eriksen is great defending the lanes,he is also great at possession. But he needs to more poignant when we are attacking. When somebody gains the ball off the press,yes its easy because there is lots of space but when we are just moving down the field we need to create more space in those circumstances by quicker crisper passing and more forward passing. But still Im with Poch. because even without that creative specialist we can do well. We just have to do things a bit better. Apart from that we have shown that we can be dynamic,that our football can be dynamic. That alhough the other teams have signed expensive stars that we have spent wisely and can produce. Now we just have to do it and do it consistently. The Poch plan calls for a whole team effort to squeeze space on defence and to create space by pressing and gaining the ball on attack. I watched Chile doing just that,the Bielsa way, in the Copa and its very exciting. Im with Poch. Im also with Levy. He has his way.He has brought us here.We do have a solid team,a great training facility and are beuilding a great stadium where the revenues will turn us into a top club in real terms. Im exvited too Alan. Da Doo Ron Ron.